When Robert Umphrey, president of Northeast Packaging Company, and his wife Donna took over the business from Donna’s father, William “Bill” Staples in 1993, there were 20 employees and the most of the company’s customers were based on the east coast of the U.S.
PRESQUE ISLE, Maine —When Robert Umphrey, president of Northeast Packaging Company, and his wife Donna took over the business from Donna’s father, William “Bill” Staples in 1993, there were 20 employees and the most of the company’s customers were based on the east coast of the U.S.
Today, Northeast Packaging operates two facilities in Presque Isle and Caribou, employs 110 people and delivers both paper and polyethylene bags to customers throughout the country in states such as Texas, Florida, Louisiana, New York, Maine, Arizona, Colorado and California. The company is one of the largest to reside on the Skyway Industrial Park in Presque Isle and recently received the Economic Impact Award from the Central Aroostook Chamber of Commerce. “When Donna and I moved back home we had grown tired of the city and missed the personal relationships and and lifestyle,” Umphrey said. The Umphreys spent 16 years working in Washington D.C. — Donna as a legislative aide for U.S. Sen. Olympia Snowe and Robert as the vice president of the American Fiber Manufacturers Association — before returning to Aroostook County in the early 1990s. William Staples had operated Northeast Packaging since 1972 after taking over the business from his father, Charles Staples. During the company’s earliest years as C.W. Staples, Inc. in the late 1920s, Charles Staples supplied farm and shipping supplies to farmers in Maine and New Brunswick. He also established the company as a local distributor of potato bags. After William Staples renamed the company Northeast Packaging, he built the manufacturing facility that is currently part of the Skyway Industrial Park, which began operations with one paper bag machine. He added several more of those machines throughout the next two decades. Since the 90s, the Umphreys have expanded Northeast Packaging to include production of polyethylene bags that are mainly used for packaging of potatoes, produce, meat, poultry and bakery products. They acquired Maine Bag, formerly owned by Maine Potato Growers, in 2008 and turned the Caribou facility on 56 Sincock St. into a printing manufacturing location. Locally, Northeast Packaging Company manufactures paper bags for potato farmers across Aroostook County as well as polyethylene bags for broccoli and cauliflower crops from Presque Isle-based Smith Farms. Other regular customers include Bangor Rye Bakery, Georgia Apple Company, and the Jamestown, New York-based Farmland Fresh Packing. 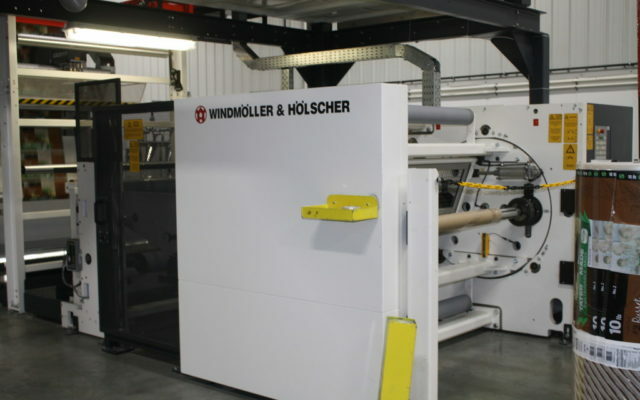 Umphrey credits much of the company’s growth to their continual investment in new equipment through the years, which now includes four polypress machines, six wicketer polyethylene bag machines and nine paper bag machines. 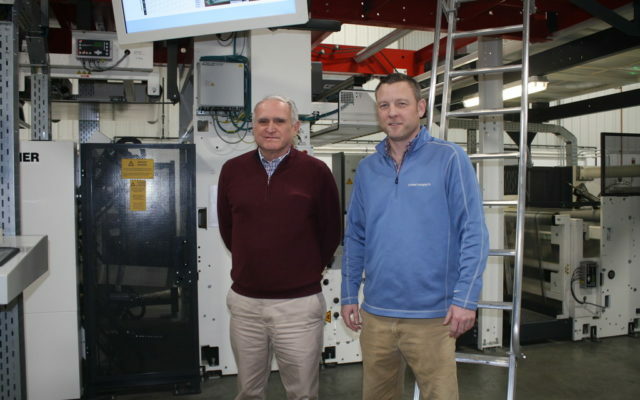 Their most recent polypress machine was custom built and delivered by a company in Germany in fall 2018 and replaced a machine that had been approximately 15 to 20 years old. He noted that one of the biggest challenges has been remaining relevant amidst competition from Canadian and overseas companies. Although Northeast Packaging faces more challenges in terms of transporting and delivering materials and products due to its northeastern location, Umphrey attributes much of the business’s longevity to the support they receive from local vendors.